I'm pretty excited for this one. 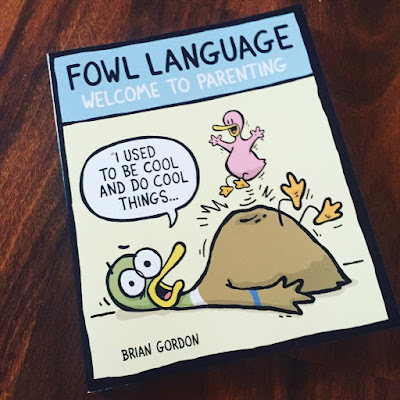 Brian Gordan writes Fowl Language Comics, one of the most popular comics on the web. We met via me fan-boying his page a few years back, and after years of asking and begging he FINALLY drew me as a duck. OK. That's not completely true. I only asked once, and he was cool enough to say yes! 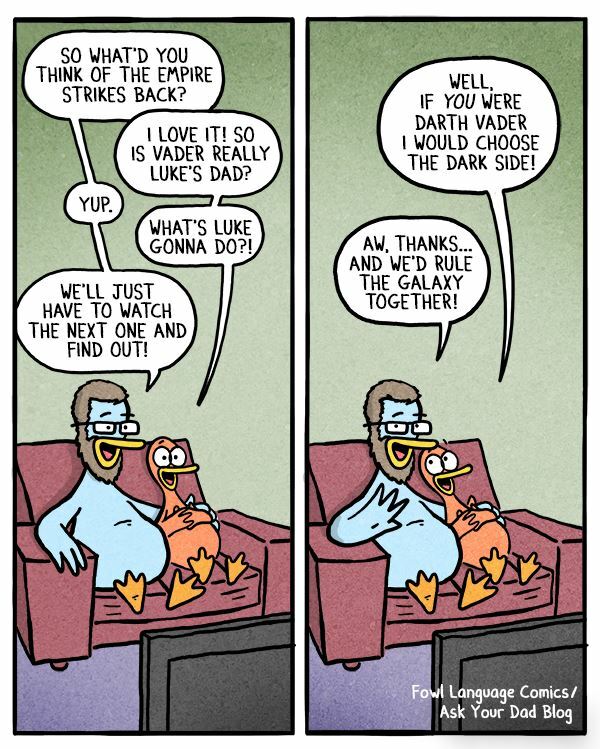 Below is an actual, word for word conversation I had with my daughter after watching The Empire Strikes back. Guess what! Brian's first book of comics came out this week. You should buy it. Seriously. They are all short and easily readable comics that you and your kids will love. I haven't been able to get it back from Duchess since it showed up at our door! Click here, or on the photo of the book to buy it on Amazon. You can also find Fowl Language Comics on Facebook, Twitter and Tumblr!